The soldier is the second U.S. service member killed in Afghanistan this year. The Pentagon identified U.S. Army Special Forces Sgt. 1st Class Joshua "Zach" Beale as the U.S. service member who was killed in combat in Afghanistan on Tuesday. The 32-year-old Green Beret was killed in Afghanistan's Uruzgan Province while conducting combat operations. Beale was the second U.S. military death in Afghanistan in a week and in this year. 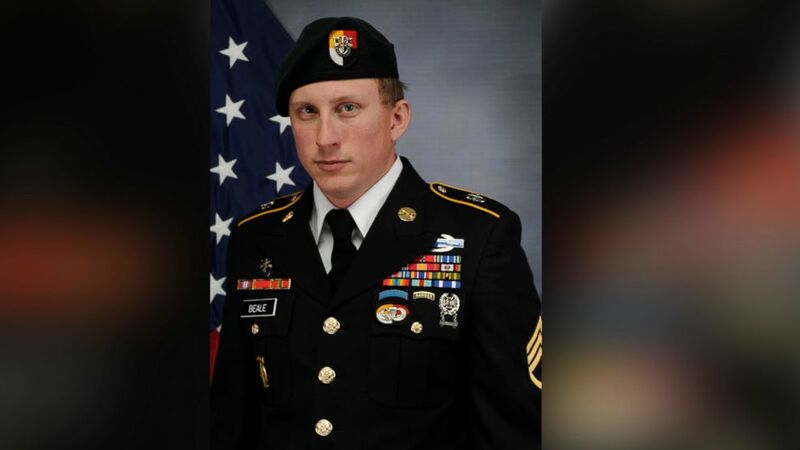 A statement from the U.S. Army Special Operations Command said that Beale succumbed to wounds sustained from small arms fire. He was assigned to 3rd Special Forces Group (Airborne) stationed at Fort Bragg, North Carolina. "Joshua was a smart, talented and dedicated member of 3rd SFG (A) and the special operations community," said Col. Nathan Prussian, the commander of the 3rd Special Forces Group. "He will be greatly missed by everyone who had the fortunate opportunity to know him. We extend our deepest condolences to his family for this tragic loss." Beale, a native of Carrollton, Virginia, enlisted in the Army in 2011. He graduated from Old Dominion University in Norfolk, Virginia in 2008 with a bachelor of science degree in criminal justice. Beale was on his third tour of duty in Afghanistan, his fourth overseas deployment overall. (US Army) U.S. Army Special Forces Sgt. 1st Class Joshua "Zach" Beale was killed, Jan. 22, 2019, in Uruzgan Province, Afghanistan. His awards and decorations include the Bronze Star (3rd award), Purple Heart, Meritorious Service Medal, Army Achievement Medal, Afghanistan Campaign Medal, NATO Medal, Overseas Service Ribbon, National Defense Service Medal, Global War on Terrorism Service Medal, Special Forces Tab, Ranger Tab, Parachutist Badge and Combat Infantry Badge. Beale was posthumously awarded the Bronze Star Medal, Purple Heart and the Meritorious Service Medal. He was posthumously promoted to sergeant first class. Last Thursday, U.S. Army Ranger Sgt. Cameron Meddock died from injuries he had suffered during a combat action on Jan. 13. Meddock succumbed to his injuries at the U.S. military hospital in Landstuhl, Germany where he had been transferred for medical care. There are currently about 14,000 American troops in Afghanistan, most of whom are serving in an advisory and assist mission helping Afghan security forces in their fight against the Taliban and the Islamic State affiliate in eastern Afghanistan. ABC News has reported that the Trump administration is planning to halve the number of American troops in Afghanistan sometime this year.